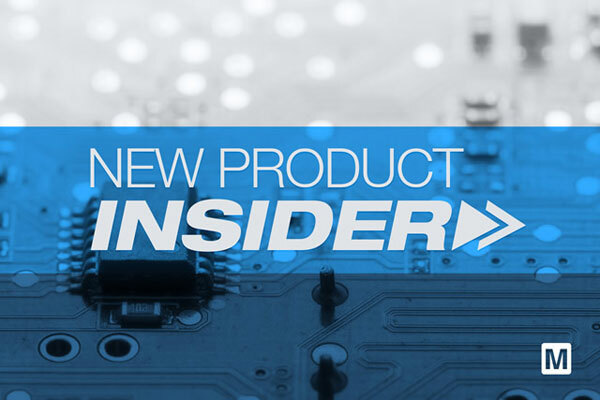 Last month, Mouser launched more than 351 new products ready for same-day shipment. Marvell Fast Ethernet PHY transceivers offer low power dissipation, small form factor, high performance, and an advanced feature set. The octal Fast Ethernet PHY family, including the 88E3082 and 88E3083 devices, features significantly lower power consumption (under 150 mW per port), enabling network systems manufacturers to decrease system costs by reducing both power supply and fan requirements. The Silicon Labs Wireless Xpress BGX13P Starter Kit includes a BGX13P Expansion Board with a pre-mounted BGX13P module that enables a Bluetooth low energy (BLE) cable replacement solution. The expansion board can operate in stand-alone mode with a PC via USB port or in a simulated embedded host mode with a Silicon Labs EFM8 or EFM32 Starter Kit. On Semiconductor NOA1213 is a low-power ambient light sensor with an analog current output and a power-down mode to conserve power. The sensor is designed for handheld device applications with active power dissipation less than 8µA at dark. Amphenol Sine Systems MotionGrade M23 hybrid connectors feature superior environmental seal retention, IP66/67 rating, and cable strain relief for the most demanding, decentrally controlled, and daisy-chained environments.